I Want To Do All the Things. I’m hitting that point in my artistic career where I want to do everything. I want to do everything at once. In my head and on paper I have all these plans. I have plans for paintings, plans for screen prints, plans for collages and mixed medias. . Nothing too elaborate but a decent amount of projects that would require lots of time to work through given I have a full-time day job. My bedroom has become more of a art studio supply closet rather than a bedroom. I have bags of paper underneath the dresser. Behind the door leans a masonite board. On top of the wardrobe are a few boxes of paints, pencils and silkscreen tools. Books and magazines full of illustrations and ideas that inspire me surround my bed. I want to read, I want to draw, I want to cut things out, and I want to paint. This is the moment in time where I almost miss being a student. I had all the time in the world to devote to being artistic. Except for a couple of courses on history and writing, the rest of my classes were all focused around creating. I also had all the space and facilities to use. 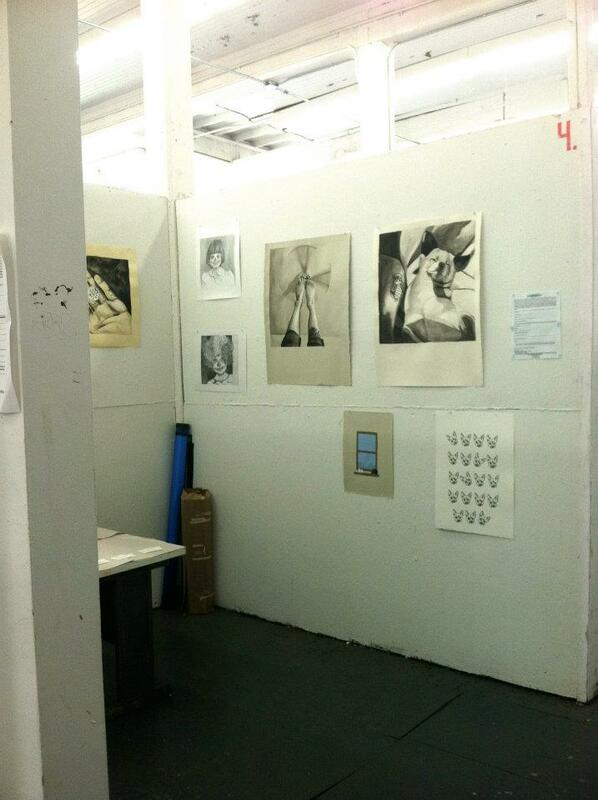 I was even so lucky as to have the print shop and the ceramics studio separated by one floor. Did you know I used to make pots? I can do that! The perks of paying tuition and worrying about the debt later. Like most budding artists who have been tossed to the street with their crumpled degree in their back pocket, I hope for the day where I can devote my days to that thing I spent all of my (and not my) money to learning. It shouldn’t be about “will this design sell?” or “will someone want to buy this painting?” It should be about, “I want to draw this thing and bring it out of my mind” and “It feels good to play with all these colours”. How do you manage to fit your practice in with your days? This can apply to all creatives with full-time jobs outside of their hobby. How do you find the time to research and apply? I had to take a brief hiatus from the bloggosphere. I became very caught up in work and then had to take a short leave for an emergency over in Scotland. I figured I would take the few personal moments I had to myself to take some inspiration with me. I have also decided to start selling some of my designs to the Society6 website. There are a few options and the prices are fairly low! I figured, for the moment, it would be easier for me to go through there then to try to get all these things done on my own. In my own personal art news, I will be starting a new painting this week and I’m so excited to be finally getting back to painting. I’m also taking a dip into a little more type and simple design type work for the online shop. For now, take a look at my new shop! Thank You for Coming to Time of the Month! Due to a series of challenging events, Time of the Month had to switch locations this past Saturday to a private studio at College and Dufferin. I apologize to everyone that I couldn’t reach in time and went to the wrong venue! The next event will surely go off without any hitches and we will be prepared even more in advanced for any issues that come our way. Regardless, the art was hanging, the music was bumping, the sangria was flowing and the delicious spring rolls were being eaten. The space was probably better than we could have imagined! More Tattooed Girls and Alligator Pie. I have a little over 24 hours left to finish this drawing. In the midst of this I do work a full time job. Have I mentioned we, here in Toronto, are going through a heat wave? I was just sitting around drawing in my apartment last night and my knees started to sweat. My knees. That is a thing apparently. I managed to get a large chunk, literally, of the piece worked on last night. I must tell you that those shorts took an entire 6B pencil. Note to self, buy more 6B pencils today because I’m sure going to need them. 4B and 6B have always been my favourites to use. Dark and contrasty. Just how I like it… albeit a little messy. 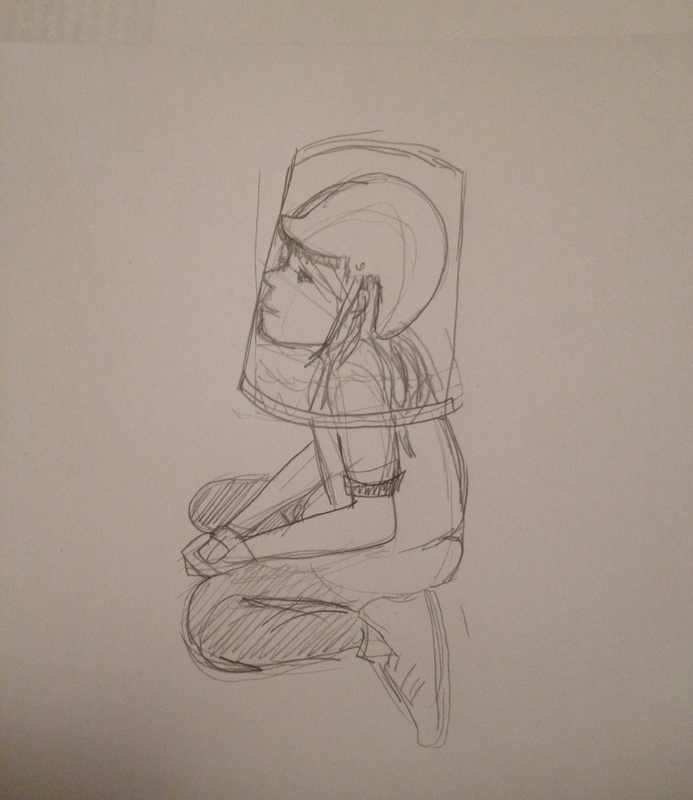 Speaking of drawing (like that segway? I thought of it myself), I took the walking scenic route to work today and passed a little shop called The Paper Place at Queen St. West and Walnut Ave. just across from Trinity Bellwoods Park. 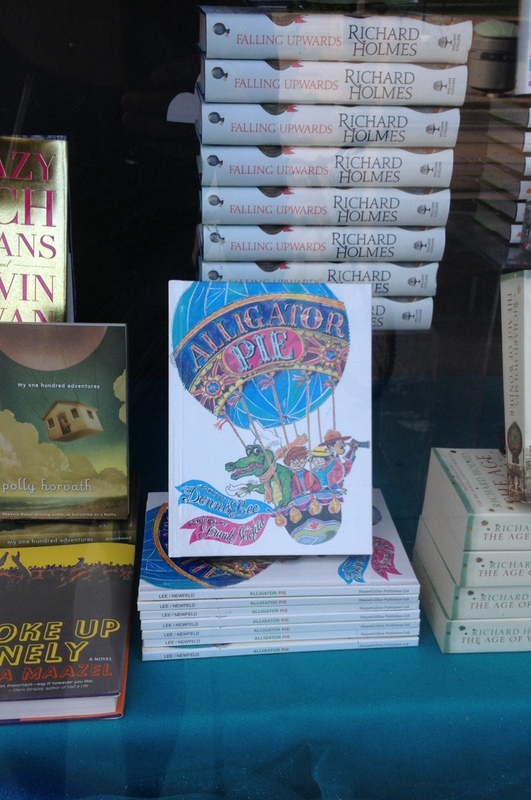 On display in their window was one of my favourite children’s books with the most bright and comical illustrations I could remember as a kid, Alligator Pie. The poems Dennis Lee and illustrations by Frank Newfeld go hand in hand and stimulate the imagination. I might have to pick up a copy tonight on my way home. If I’m lucky they might also have a copy of Garbage Delight. I’m always trying to prepare for the next piece before I’m finished with the one I am currently working on (AND has a deadline). I’m not sure if this is a good habit to have as sometimes I get too excited about the new idea and I start to lose interest in the old. 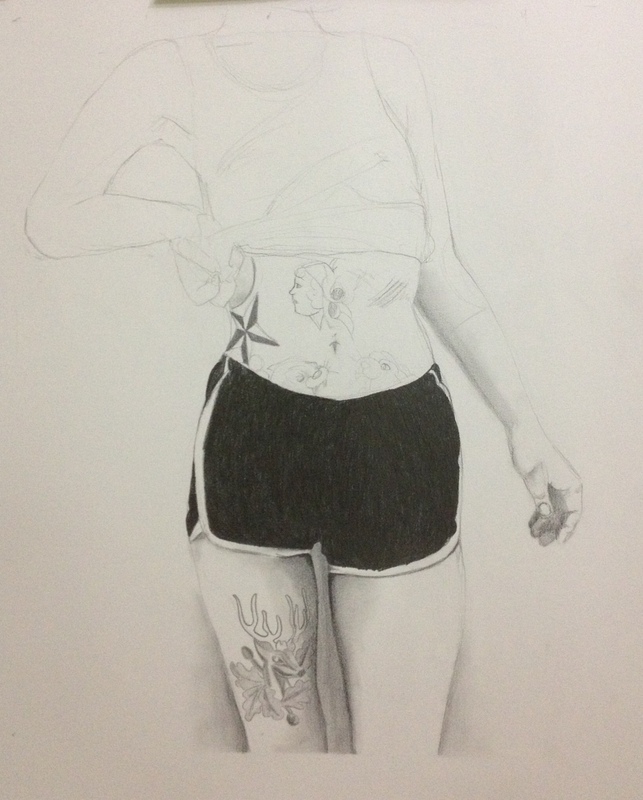 That being said, here is the sketch for my next piece, once I finish with “Tattooed Girls“. I present to you, Captain Bucket. Paper to my left. Paper to my right. No doubt there is paper behind me. 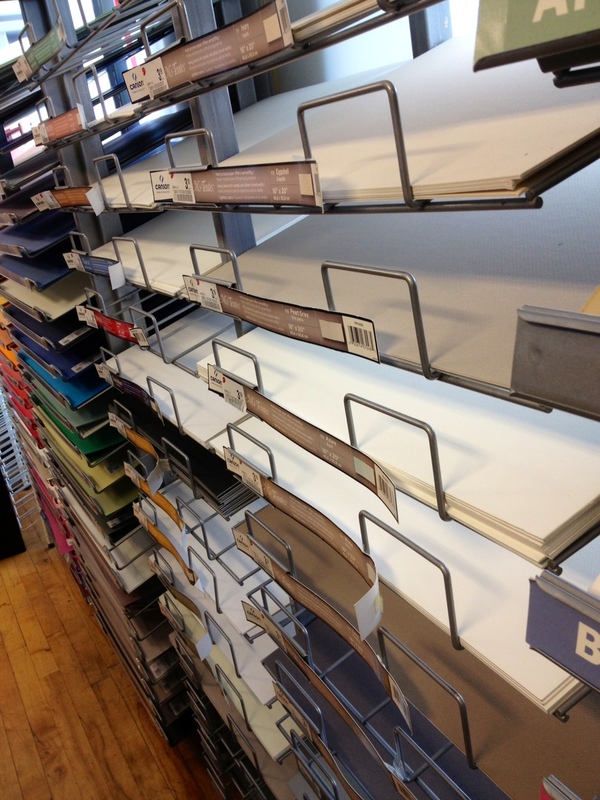 Do you know what it’s like to be overwhelmed by paper? This is only a fraction of what I’m having to deal with right now. 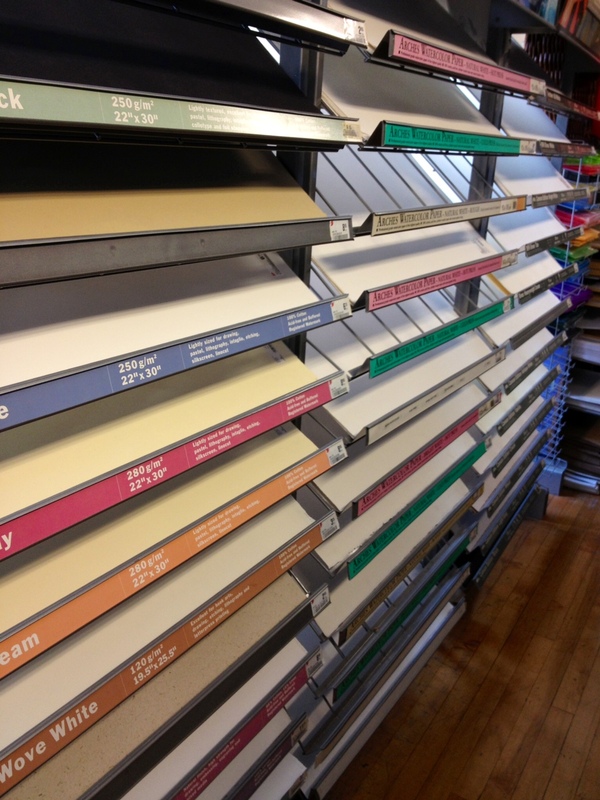 Different shapes, sizes, material, cold press, warm press, heavy weight, light weight, prices… I could go on. My conundrum at the moment is choosing the perfect shade of grey (insert witty 50 Shades of Grey joke here). I’m in the midst of deciding whether I want a warm grey or a cold grey. Maybe a creamier grey or a greener grey. Should it be a little rosy? 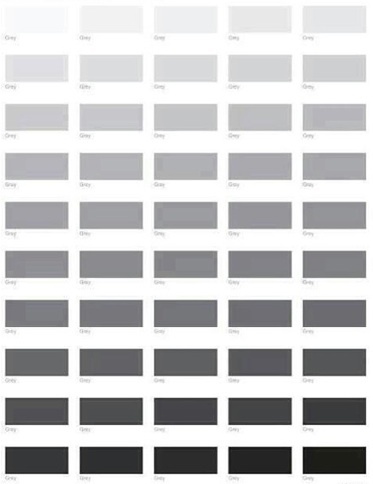 Seriously, there are way more greys than you’d think (insert second witty 50 Shades of Grey joke here). 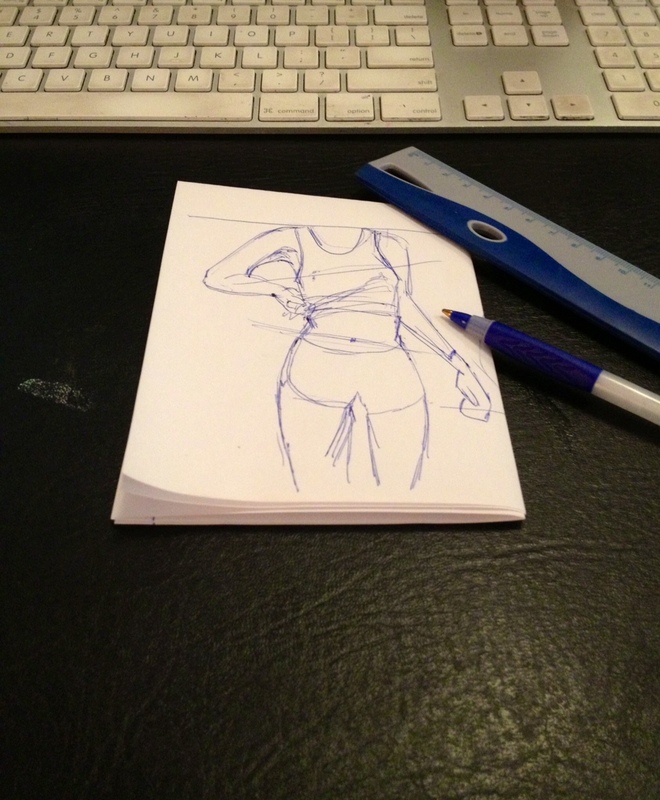 Drawing doesn’t appear to be as easy as some would think. There are many different areas in which one needs to make decisions. Every detail is throughly thought over. Should this line be 2mm longer or shorter? Is that elbow on the same plane as the hip? Does this need to be darker or lighter? Because some drawing seems to be “simple” it is even more important that all decisions are taken very seriously. Our work is very important to us. With Time of the Month coming up soon and quickly (next weekend!) I’ve enlisted the help of Katie Barber, a wonderful artist and book maker here in Toronto (and one hot babe to boot) to pose for my reference photos. Tattoos and booty shorts for the win. This piece if going to be a little different than my usual subjects and I’m really excited to try something new! I am Candace, a freelance visual artist who dabbles in several mediums and is sometimes distracted by brunch, cupcakes and chihuahuas. Well, those are ominous clouds over the mountains. ... and we made it 6 months! This Is Not About Art.